Māori & Samoan Colours ~ FREE prinatable mini posters! 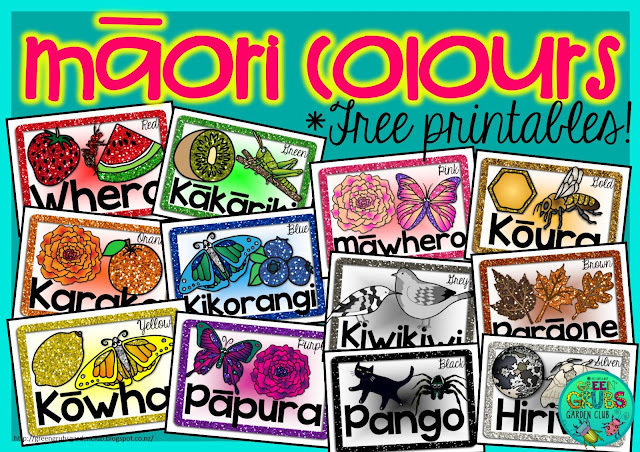 Click here to download your free Māori copy here! Along with using them as prompts during singing (their original intention), these cards would also be perfect for printing and laminating to use as classroom posters. As well as the usual colours (red, yellow blue etc.) 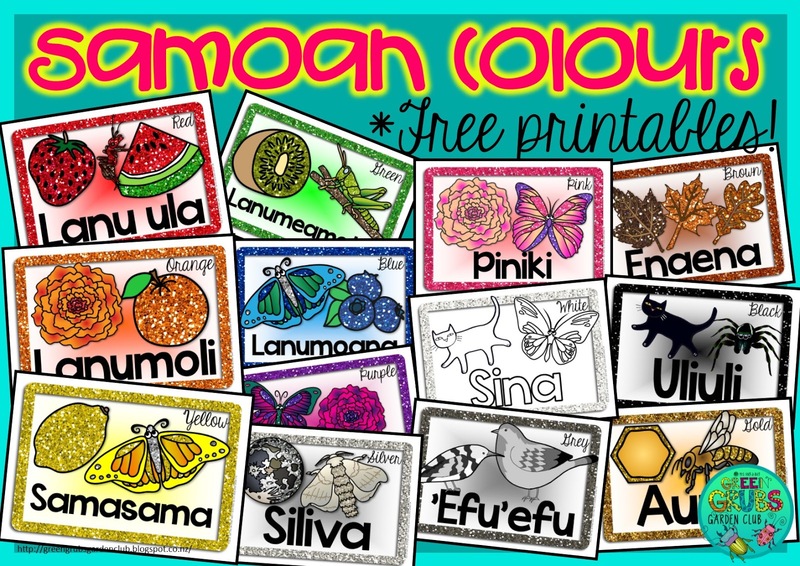 this set also contains the colours brown, grey, gold and silver – please let me know if your corner of the country uses alternate words for any of the colours – I’m happy to add additional pages as need! This resource is also available in a Samoan version – Click here to grab that copy! 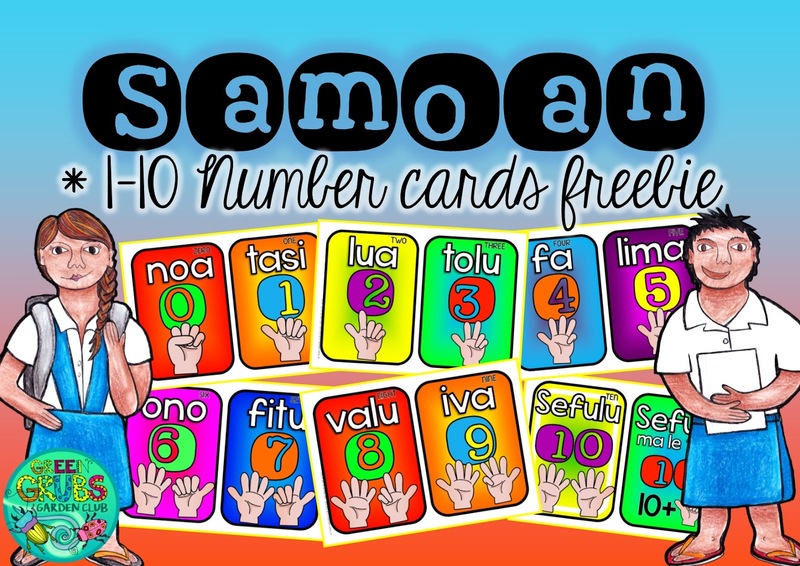 *Have you seen our latest Samoan numbers 1-10 FREEBIE? Click here to find that post! Looking for other Samoan resources? 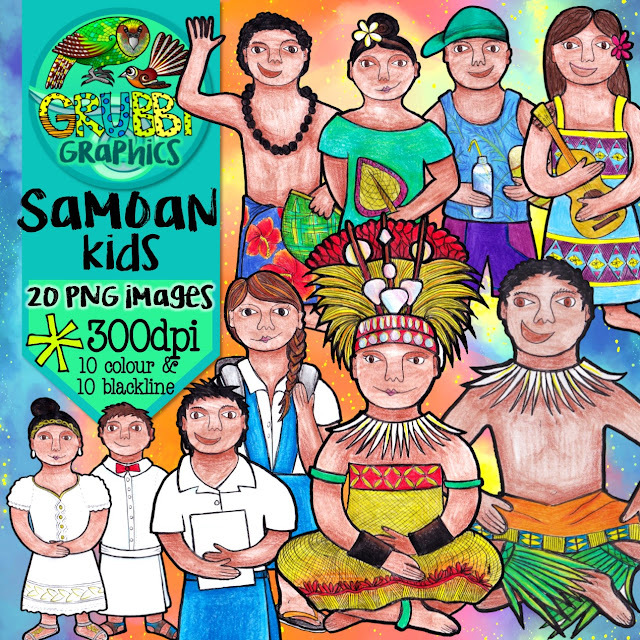 You might be interested in our Samoan clip art sets…. 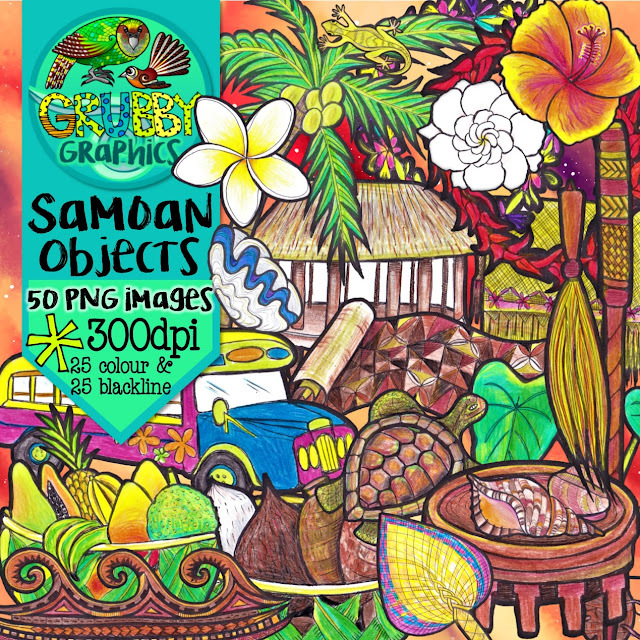 you can find them in my TpT store (Green Grubs) or on Etsy as Grubby Graphics!